Challenge 1) Place the wooden pieces into the box. 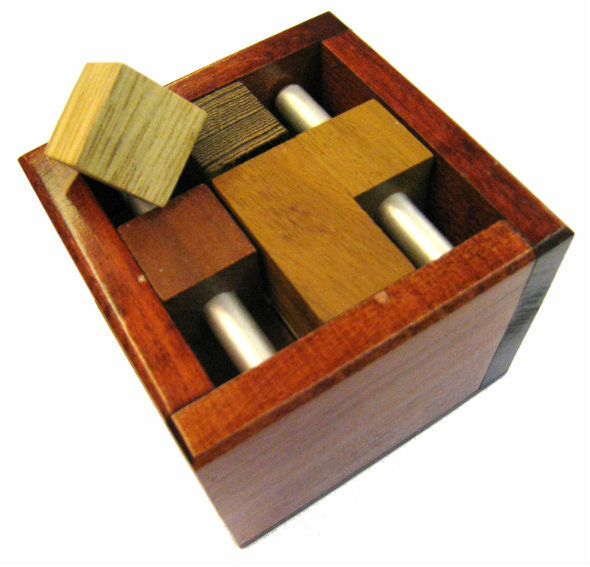 Challenge 2) Place the wooden pieces into the box + the extra piece. Measures: 8x8x6,5 cm. This product was added to our catalog on 04.12.2008.